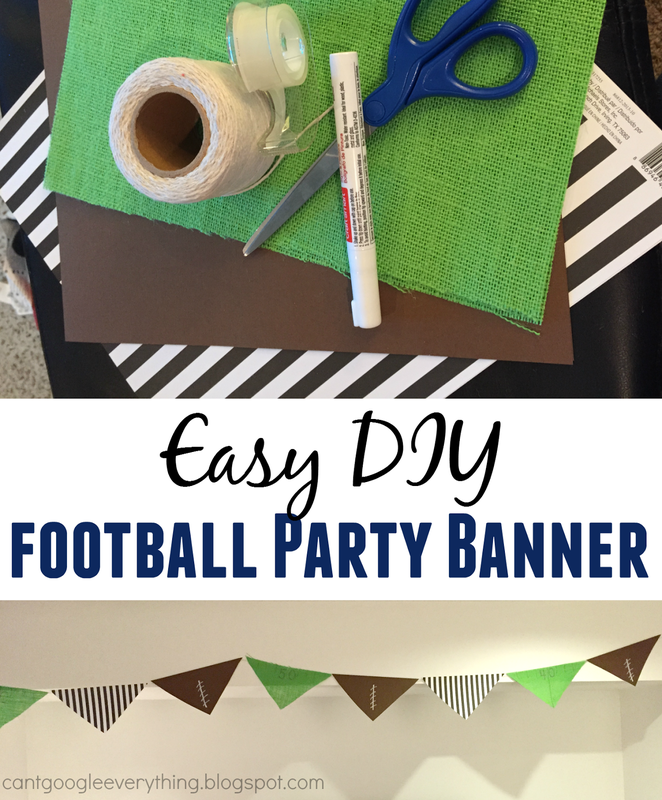 Easy DIY: Football Party Banner! 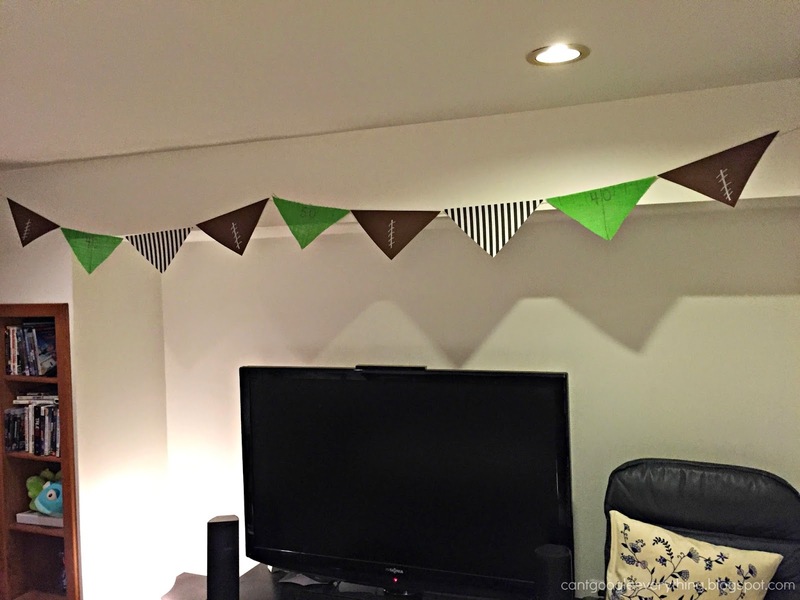 This banner is perfect for any football themed birthday party, game watch and especially your upcoming “big game” party! I saw a similar one in the store and thought, hey, I can make that myself! 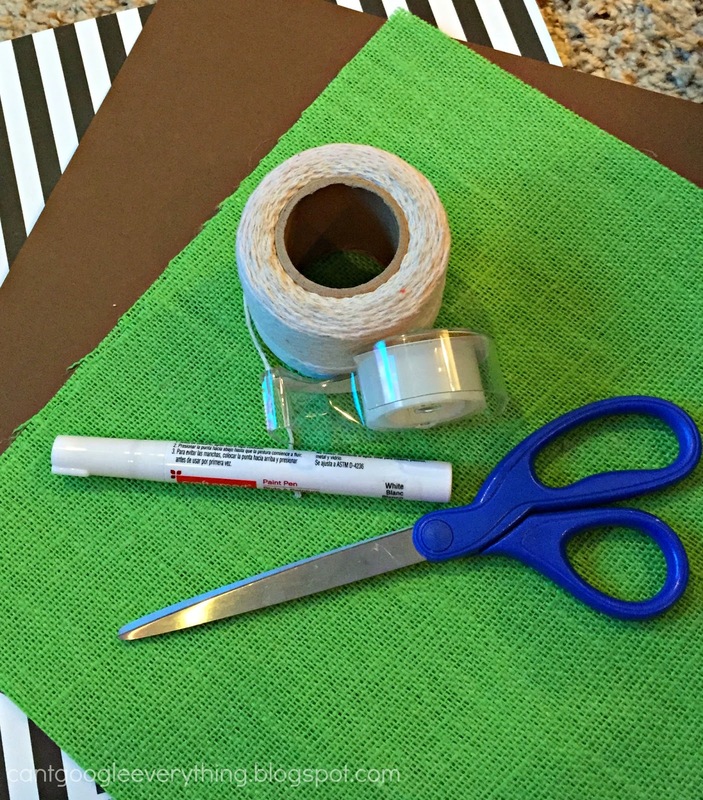 And bonus – you probably have all the supplies needed to make this already! I only needed to buy the specific colors of paper! 3 sheets of 12×12 paper in brown, black and white stripes and green. I went with green burlap, but any green that looks like grass would be perfect. A white or silver paint marker, or white/silver sharpie marker. I found the silver worked better on the burlap paper than the white. 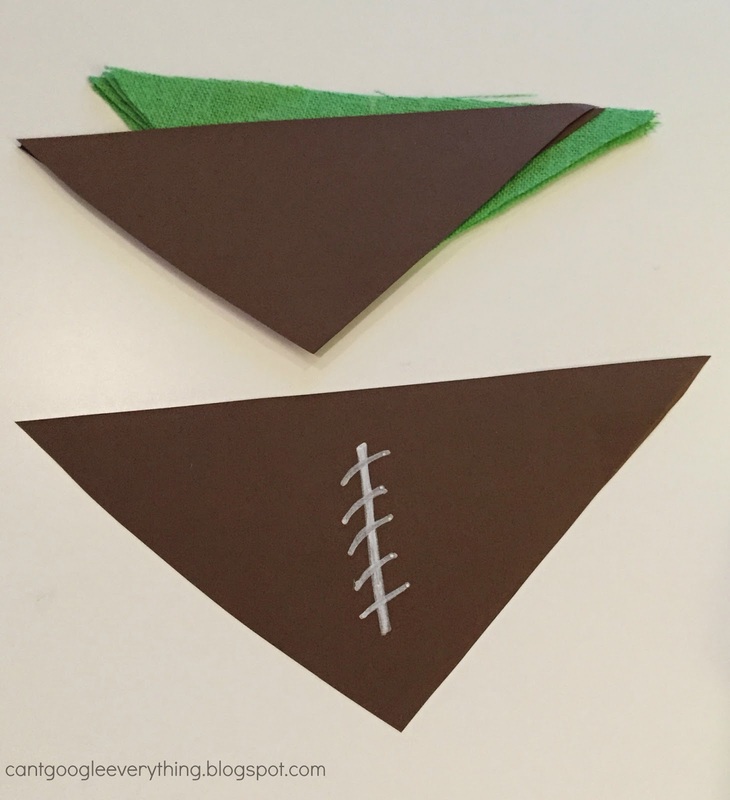 Fold each paper in half and cut, then cut each of those in half again so you have 4 triangles for each color. For the brown, draw lines to look like a football. For the green, draw one line down the center and write your yard line numbers, I went with 40, 50, 40! Flip each triangle over and line them up in the order you want them. Stretch them out across the whole floor or table as needed so you can really see how big your banner is going to be! Then simply glue or tape your string across the tops! Be sure to leave extra string on each side to hang your banner with. My finished product hanging up in the basement! I think it really brightens up the place, don’t you? What’s your favorite DIY for party decorating? Totally cute! Would be a fun project for my crafty daughter as well for the Superbowl!! It's so festive and creative!